Hands down one of the best Guanacaste tours you can find. 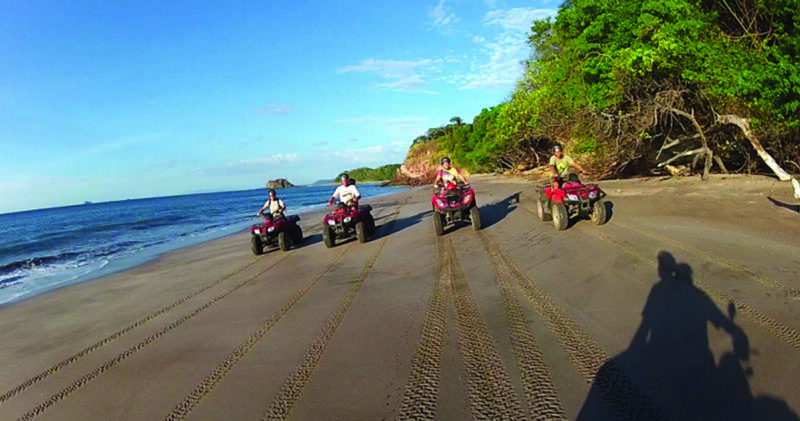 ATV and Canopy Zip-Line Tour & Excursion in the beautiful Flamingo Mountains of Guanacaste Costa Rica. This is one of our most popular tours! Our guides will take you up to the mountains on the Monkey Trail. The trail begins behind Potrero Beach by ATV to the Congo Trail Zip-Line Canopy Area. Spend your time up in the top of the Guanacaste Trees and maybe you’ll spot some Howler Monkeys or Spider Monkeys. 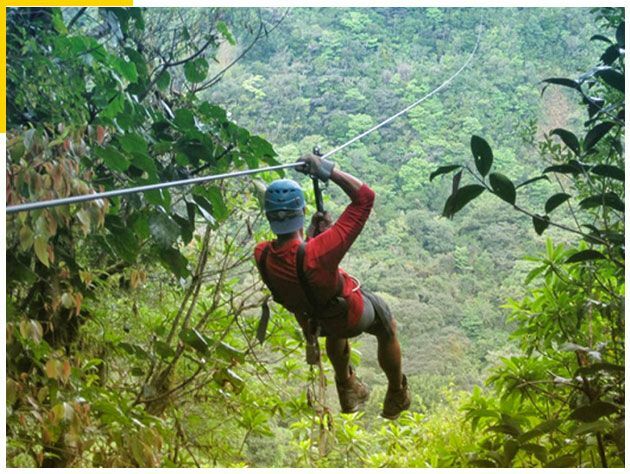 After 2 hours zip-lining through the jungle, as you have never experienced it before, have some refreshments and try the extreme option if you still have strength. Tip: Try the awesome Tarzan swing. Then hop back on your ATV and ride home via the Donkey Trail for some more advanced and challenging ATV riding (Optional) down to sea level at Danta Beach where the Catalinas project is located. Then visit 5 different beaches on your way back to our office. (Dantita Beach, Danta Beach, Prieta Beach, Penca and Potrero Beach) on the final stretch. On private tours, guides can stop for lunch if requested. 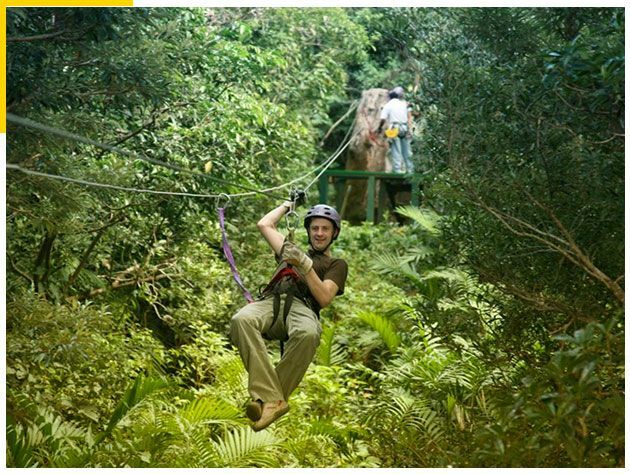 We start this wonderful tour in Flamingo Beach area and ride the ATVs up to the canopy for the thrilling zip-line tour. Fly on 11 lines for about 1 and 1/2 hours. After you are done you hop back on your ATVs and ride through some rugged terrain and to beautiful beachs for about 2 and 1/2 hours until we finally get back to where we started.